It's no secret that Justice League wasn't everyone's cup of coffee. Heck, we really liked the movie, but we'll admit that there was certainly some room for improvement. Still, the film was a step in the right direction for the DCEU and we can't wait to see what's next. And clearly, we're not the only ones holding it hope for the big screen DC Universe. 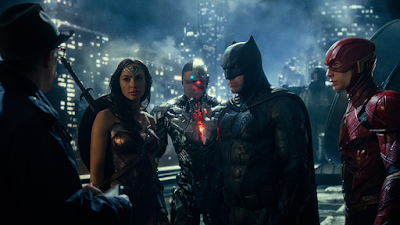 Zack Snyder's Justice League has leapt to the top of the home video sales charts since it was released earlier this month. The film dominated both the NPD VideoScan overall disc sales chart, which tracks combined DVD and Blu-ray Disc unit sales, and the dedicated Blu-ray Disc chart. Blu-Ray discs accounted for over 70% of sales for Justice League for the week ending March 17th, with 12% of its total unit tally from the sales of 4K Ultra HD Blu-rays. Rounding out the Top 5 for the week were Thor: Ragnarok at #2, animated feature Ferdinand at #3, Pixar smash hit Coco at #4 and Oscar Best Picture winner The Shape Of Water at #5.